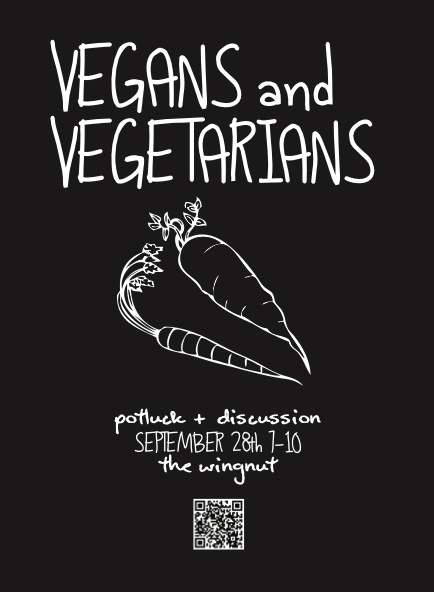 Vegan/Vegetarian Potluck Friday Sept. 28th at 7pm! Sober, vegan potluck – bring a dish to share! Discussion of veganism and animal rights plus Eating Vegan on the Cheap in Richmond Zine! Water/Sewer Service Charge Protest – Monday the 24th at 5pm! An important demonstration to be held at Richmond City Hall at 5:00 p.m on Monday Sept. 24th to protest the city of Richmond’s outrageous minimum water/sewer service charge of $49.40, which is the highest in the nation. This is a real burden for every social security grandma and other low income residents to have to pay $592 annually just to be connected to the water supply. The city utility raises over $30 million annually from this residential water/sewer service charge, and almost half of this, $12 million is, paid directly into the city’s general fund. This is the most regressive means possible to raise general funds for the city– putting an outrageous service charge on the most basic necessity — water. Furthermore, Richmond’s water rate does not promote conservation because the city utility gets more than half of its revenue from the minimum service charge instead of the volume charge. The All the Saints Theater troop has committed to having music and puppets at this demonstration. At the event Sierra Club will present to City Council a petition with 1300 names protesting this regressive water/sewer service charge. We would encourage you to make some posters with such slogans as: SERVICE CHARGE is TOO LARGE; ABATE THE RATE; LORDY $49.40 ; Drowning in Base Rate; Sewer rate STINKS. (I’m sure that you can come up with some better slogans!) Also please bring empty plastic gallon water jugs with $49.40 written on them to signify how much residents must pay for the first gallon of water — put a few pieces of gravel on the jug for a good sound effect. This is not organized by the Wingnut, but is supported as a significant social justice issue affecting people in Richmond. Vegan Potluck and 4 band show Tuesday September 18th! Come to the Wingnut to celebrate birthdays, share vegan food, and hear Home Body, from Massachusetts perform! This is a Richmond Eats Richmond Potluck too!! This is a sober event! Bring rootbeer or other delicious non-alcoholic beverages!! Sept. 18th is Mo Karnage’s birthday, Deejay Anspach’s Birthday, and Haley from Home Body’s birthday is 2 days before. Mo will bake cake, vegan carrot cake, but you should bring a vegan party dish to share! In honor of Deejay there will be a vegan chocolate icecream cake!! Home Body is Eric and Haley, who are two of Mo’s friends from college. They happened to want a show in Richmond on September 18th, and so ta daa! Fun times. We will pass a hat for the touring bands, so bring a few bucks if you can spare them! http://www.facebook.com/helloHOMEBODY for more about HOME BODY! This first is just a short clip of some of the protesters before the meetings. Some amazing activists with the group Parents For Life 2012 have exposed some glaring lies by the Richmond Public Schools about A.V. Norrell. Thanks to Parents For Life 2012 for shedding light on the issues, and keeping the pressure on! Richmond Public School recently put out an FAQ section on their website, in relation to the relocation of the Head Start program to A.V Norrell Elementary. In this FAQ, they lie about the contents of a 2007 FEMA report (available by email, mcnealkc [at] vcu.edu if you want us to email you the file), and about the capacity of John B. Cary Elementary. The complete refutation is attached as a .doc file. In brief, RPS claimed that the 2007 report declared Norrell safe and the landfill no longer a problem, while in reality, FEMA detected levels of methane gas “approaching the upper explosive limit”, and unequivocally stated that the landfill is still a safety risk at the time of writing. Richmond Public Schools also alleges that no other school could accommodate 250 students, while a news report from May of this year represents John B. Cary elementary (which the FAQ mentions by name) as operating 700 students under capacity. These discrepancies, calculated as they appear, can’t be accidental. RPS is lying about A.V Norrell Elementary. Parents For Life_2012 invites you to join us for the Preschoolers First Day of Class Vigil at Norrell Elementary School. Norrell Elementary School was closed in 2006 because there were environmental concerns about the site, which was built on an old city landfill. vulnerable 3 & 4 year old pre-schoolers as well. We will remind everyone that we believe this school board has failed in their duty to OUR children.Please join us in reminding the school board that they have endangered our children and that we will persist in our effort to protect our children. While we wish to express our outrage at the school board’s decision, we do not want to frighten the children nor do we want to interrupt nor interfere with the normal operation of the school. We, therefore want everyone attending this vigil to be respectful of students and staff. We ask that this be a quiet vigil and that no one yell at school personnel nor enter the school grounds. We are to remain on the sidewalks. Representatives of Parents For Life_2012 will be present in shifts starting at 7:30 AM until 4:00 PM on Monday Sept 10. Please join us during the times listed below as you are able. This is a sober, all ages event, folks with children are welcome, but be aware that some of the information might upset children (and adults). Everyone is welcome to attend this event and make sure to bring some friends as well. There will also be a potluck afterwards, please try to bring something that is vegan to share so that we have enough food for everyone. Megan Walker, myself (Kat McNeal) and Jonathan Cunningham compiled the following information on Norrell Elementary. I’ve included a brief summary of results, as well as links to where we found each piece of information. All of the information was publicly available when we found it (9/4/2012). This is by no means a complete picture of the situation with Norrell Elementary, as it neglects statements made by school board members, direct testimony from area parents, a complete history of the site, and many other facets. For more complete information, speak to Art Burton and Lillie Estes.Our findings establish that there were explosive levels of methane still being exuded from the dump site as late as 2006 (FEMA’s 2007 Report), that the Environmental Protection Agency lists A.V. Norrell Elementary School as an ‘active’ candidate for the National Priorities List of contaminated sites (Superfund Site Information Database), and that the conditions at Norrell stand to violate the Head Start Program’s Environmental Requirements. Additionally, despite some claims from School Board members, Parks and Recreation has never listed the school as the site of a community center or community program.The most recent environmental survey of the site available to the public was the FEMA report in 2007, reflecting conditions in 2006. There exist no more recent investigations available to the public online. The following report includes a description of, and select quotes from, the source materials.